Visible Equity is recognized as the leading analytics company among financial institutions working with hundreds of lenders nationwide. When leads from traditional marketing efforts began to fizzle, the company turned to inbound marketing and HubSpot to grow their funnel. Visible Equity is recognized as the leading analytics company among financial institutions, working with hundreds of lenders nationwide. The company caters to financial institutions, such as banks and credit unions, in need of satisfying examiners and performing in-depth analysis on their data. Visible Equity was founded in 2009 when financial institutions across the U.S. were scrambling to pick up the pieces from the aftermath of one of the biggest financial recessions. New regulations on financial institutions were developing in order to ensure ongoing financial stability for the country. With regulators enforcing new requirements for lending, the pressure on financial institutions to meet examiner requirements was growing. In order to ease stress for financial institutions, Visible Equity created a loan portfolio analytics software managers could use to monitor and optimize operations within their institutions. Since its founding, Visible Equity has doubled in size almost every year. Future plans include expanding their analytics software to be used by every department in a financial institution. Like many growing companies, Visible Equity relied on trade shows and traditional marketing efforts, such as targeted mailers, to drive leads for their company. Gilbert had heard of marketing automation software and began his research. HubSpot stood out because of the focus on customer service and the relationships the company built among subscribers, leads, and customers alike. 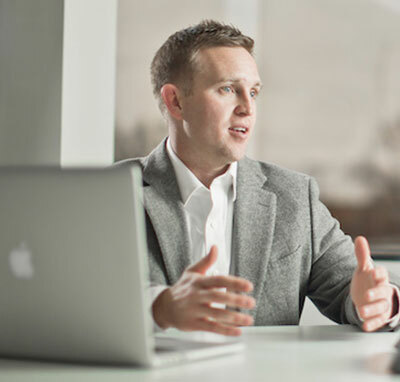 He started researching the idea behind HubSpot’s inbound marketing methodology. He learned the strategy behind it—how content can drive prospects and leads for companies—and the success other HubSpot customers had achieved. Based on his findings, Gilbert requested a demo of the software and began using it immediately. The team started creating content to publish in HubSpot, built landing pages for lead generation, and tracked marketing metrics weekly. The software was starting to prove itself to Visible Equity and the team was happy with it. As the company grew, Gilbert’s workload started to increase significantly. He needed a way to offload daily marketing tasks so strategy could be at the forefront of his mind. SmartBug Media isn’t just an ad agency, or a PPC agency, or something so segmented that you can’t get results across the board. They are expert marketers." At first, Visible Equity was wary of relying solely on an agency to write content for the company. With so many intricate details and regulations in the financial industry, the team was certain the quality and depth of the work would not be up to their expectations. Gilbert met with a couple of agencies to learn more about the process including us. He was looking for a company that had the analytical chops, but also understood his industry. He was not interested in a magic show, but rather, needed someone to dig into the numbers with him to prove he was moving in the right direction—or if he wasn’t, direct him where to go next. He was also looking for a reliable team that would be able to take many of the day-to-day tasks off of his plate. Content marketing is the fuel behind the metrics we were able to provide to Visible Equity during our initial consultation. In order to have a successful content marketing strategy, the writing must be on point. Each article and content piece must be specific and targeted to the reader. The only way to accomplish this is with a writer who deeply understands the field of work he or she is writing about. We put in place a process to match the most capable, industry experienced writers to the client, so quality was never sacrificed. Once signing the contract, Gilbert’s consultant, Andrew Macey, set out to find the perfect writer for the project. Working with the team’s content director, Macey sourced and vetted writers with expertise in the financial industry. It was important that the writers chosen had specific experience and knowledge of loans and the regulations associated with them. We did not disappoint. Visible Equity needed to reduce the amount of time spent going to trade shows by offsetting it with the amount of leads they received from inbound marketing efforts. We put together a content marketing strategy to help achieve this goal for Visible Equity. In as little as four months, Visible Equity saw an increase in leads by 100%. The growth in social traffic alone grew over 600% and organic traffic improved by 44% in less than six months.